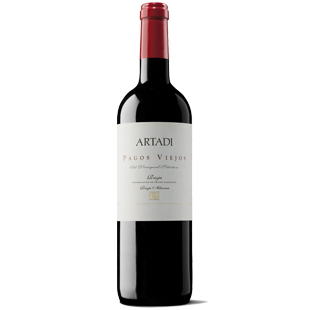 "Old vineyards with a balanced production, nurtured winemaking and thoughtful permanence. A wine with intense color, a complex bouquet, structured in the mouth, with an elegant and long, ligering finish, distinguished and enriched by the peculiarities of each vintage. A wine crafted from the outstanding quality that hails from our most noteworthy vineyards named El Carretil, La Poza, Valdeginés, Los Olivos, Quintanilla, El Cerradillo and San Lázaro."